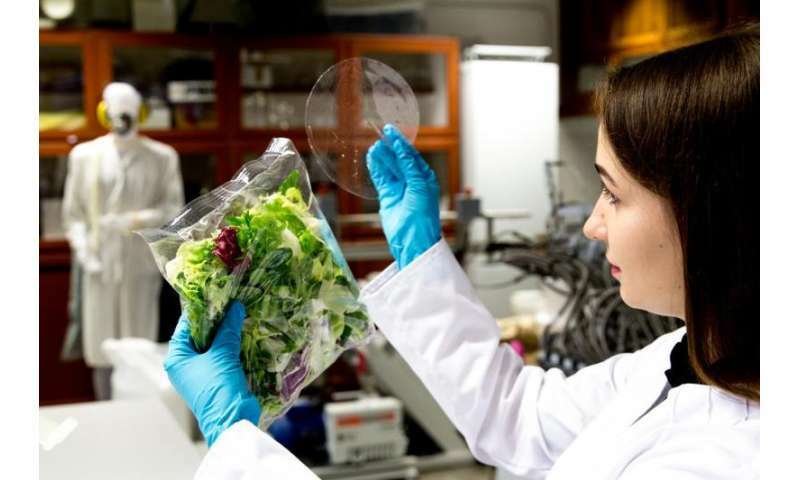 KTU researchers are creating biodegradable food packaging materials, which, in addition, will also keep food fresh for longer. This innovation would solve two problems at once: assist in cutting down packaging waste and in reducing the number of food-borne illnesses. "Food packaging is mainly made from various plastics, which are being produced from non-renewable sources and are non-biodegradable. Also, it is not always possible to recycle them as leftovers from food amount to almost 50 percent of the packaging waste," says Paulius Pavelas Danilovas, researcher at Kaunas University of Technology (KTU) Department of Polymer Chemistry and Technology. "Our goal was to create a biodegradable package, which could help to keep food fresh for longer, which could have anti-oxidizing or antimicrobial properties," says Danilovas. 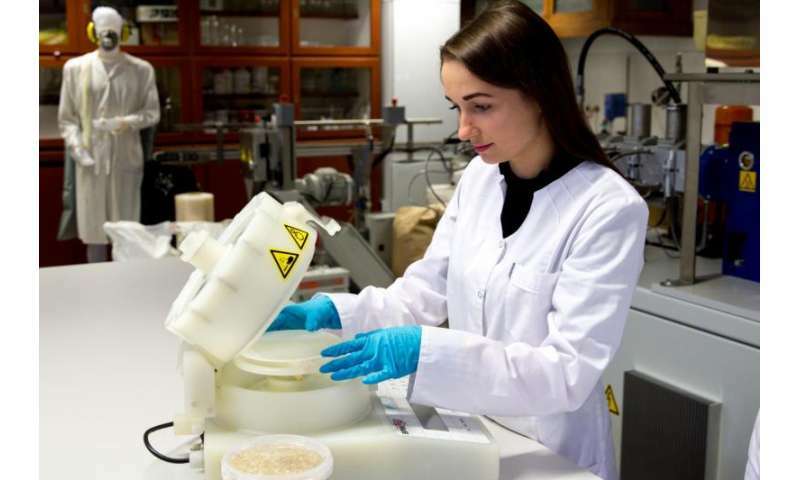 Vesta Navikaitė-Snipaitienė, chemical engineering PhD student at KTU and one of the research team members was responsible for testing the efficiency of various ethereal oils when added to the cellulose-based film. "Active components of clove ethereal oil are very effective in tying free radicals; this oil proved efficient in enriching packaging with anti-oxidizing qualities. This effect helps to keep food fresh for longer, but such a package is not antimicrobial," says the researcher. "To achieve antimicrobial effect, we added ionic silver particles to the cellulose based packaging. The results we achieved were quite unexpected – the silver particles made the packaging film more elastic and stronger," says Danilovas. "We are excited to have found composites, which not only allow cellulose to turn into fluid condition, but also are not toxic, which is very important in all products related to food handling," says KTU researcher.